Ooh, la la! A giveaway! I'm overwhelmed by the outpouring of support and love you guys have given me with the announcement of my book deal with Rhemalda Publishing, and what better way to thank you than by hosting a giveaway! 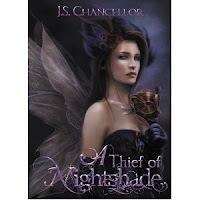 In case you missed it, here's my book blurb! 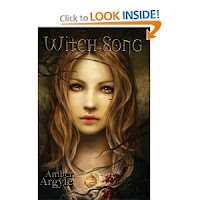 In TWISTS OF FATE, the brash and impulsive Julia must team up with her sweet and straight-laced best friend, Angie, and the malicious and power-hungry Kaitlyn in order to keep the witch-like powers of her inheritance. But these powers come at a cost. The girls are bound to serve the Fates, and their first mission sends them back in time to Marie Antoinette's Paris and eventually, into the chaos and war of the French Revolution. Find out more at Rhemalda's website. So, let's have some fun, Marie Antoinette style! With a lavish masquerade ball?!! 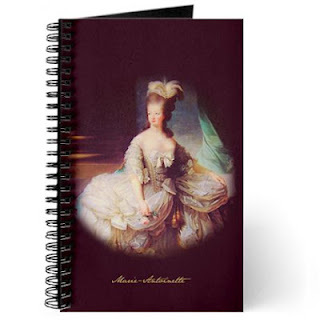 With a Marie Antoinette themed giveaway! Giveaway deadline is Friday, July 13th at 11:59pm, and TWO winners will be announced on Saturday, July 14st! (Coincidentally, the day of the storming of the Bastille. Just a little French Trivia for you. Because, you know, I'm a history goober IT'S JUST WHO I AM!). Okay, where was I... oh yes! Two winners, and two ways to win! All you have to do to enter is enter your contact information on the entry form below. So easy! And I will not put you on a mailing list or do anything with your information, except send you PRIZES if you're the winner! Will there be BONUS POINTS? Mais oui! Be my blogger friend, friend me on Facebook, follow me on Twitter, share, link, and announce to your heart's content! There is no limit on the number of bonus entries you can make! Enough stalling... I know what you really want to find out. Prizes!! The grand prize winner will be chosen at random from the total number of entries received. He or she will receive a DVD of the movie, Marie Antoinette starring Kirsten Dunst, as well as a Marie Antoinette journal from CafePress, and a free book or ebook from the Rhemalda Publishing book shop! In addition, the entrant with the highest number of bonus points will receive a free book or ebook from Rhemalda Publishing book shop! International readers are welcome to enter for the chance at the free ebook, but due to shipping fundage issues, the grand prize winner and those opting for a physical book must have a U.S. mailing address. All bonus point tweets, links, shout-outs, etc, must be linked back to me so I can keep track! Check out the Rhemalda Publishing Book Shop for more of the tres magnifique books you can choose as your prize! My Book, a Giveaway, Marie Antoinette Links, and SCBWI Conference News. An Update! I never know how to title my blog posts. There is SO MUCH randomness involved! First off, let me share news that some of you giveaway-lovers might appreciate. I'll be hosting a giveaway here on my blog next week! But before I get to that, let me tell you about a giveaway my phenomenal publisher is hosting. The Give Back to Teachers Giveaway offers educators a chance to win a free class set (up to 30 paperback copies) of middle grade novel, THE ACADEMY DEFENDERS by T.J. Robinson, for use in their curriculum. If the winning class is within a 200 mile radius of Salt Lake City, Utah, T.J. Robinson will personally deliver the books for a class visit! For those outside of the Salt Lake City area, the author will do a live video chat with the winning class. BUT WAIT! There's more! In addition, teachers, librarians, and school administrators can sign up for a free, no-strings-attached copy of the book in electronic format, as well as a free reader's guide and an educators guide. If you know any educators or librarians, tell them to go to this link and sign up! Free e-book! Chance for a class set of free books! As a former third grade teacher, I can tell you this is good stuff!! Okay, on to the next random thing to tell you about. My own giveaway! Be sure to follow me on Twitter and Facebook for giveaway bonus points... the giveaway will start on Monday, June 4th at 8:01pm, Pacific time. I hope TONS of you enter! 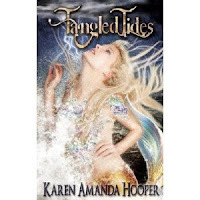 In TWISTS OF FATE, the brash and impulsive Julia must team up with her sweet and straight-laced best friend, Angie, and the malicious and power-hungry Kaitlyn in order to keep the witch-like powers of their inheritance. But these powers come at a cost. The girls are bound to serve the Fates, and their first mission sends them back in time to Marie Antoinette's Paris, and eventually, into the chaos and war of the French Revolution. Find out more at Rhemalda's website. 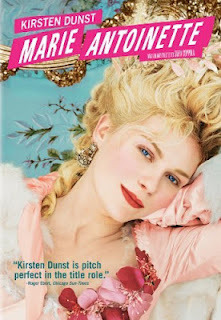 Last random thing... Marie Antoinette Links of Awesome! Smithsonian Magazine at Smithsonian.com has an article about the famed Queen, including a first-person account of the writer's trip to the theater built for her at Versailles. Check it out, here! Take a virtual tour of Versailles at PBS.org, and be sure to make use of the sidebar, where you can see the Queen's Chamber, the opera hall, the hall of mirrors, and more! Follow the linky! Last, I'll leave you with the History Channel's biography of Marie Antoinette, at history.com, in which everything from her early years to her final legacy is covered. Read it here! Okay. One more random thing! But this is REALLY the last one! For anyone going to the Society of Children's Book Writers and Illustrators annual conference this summer, I WILL BE THERE! I hope we can connect beforehand and meet up! SCBWI LA, hooray! Have a great weekend, everyone! And remember to check back on Monday night to enter my Marie Antoinette themed giveaway of epic victory--deadline to enter will be July 13th, 11:59pm Pacific time.